Legendary US rap group Atmosphere, founder-artists of independent label Rhymesayers, have shown their support for the campaign to free Shahrokh by retweeting the petition to their 159,000 followers. Thanks to Slug and Ant for showing support! Use twitter to gather support! 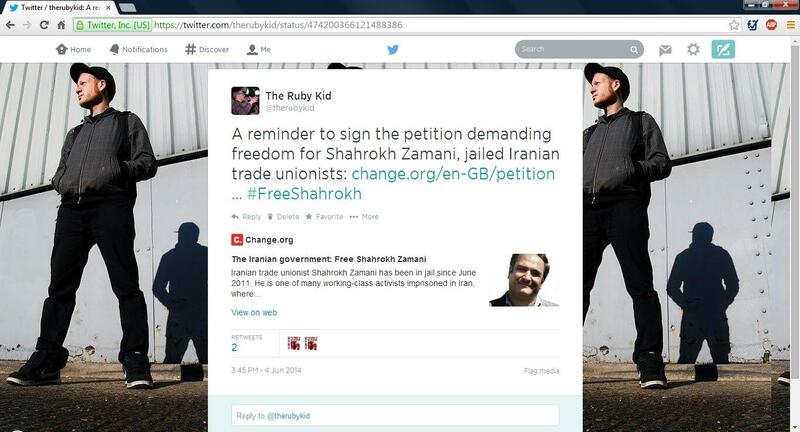 with the #FreeShahrokh hashtag.